Its unique ad campaign focused on ordinary Indians who were on the cusp of progress. In the pre-liberalisation era, the Luna became a household name: it was the country’s first moped. Launched in 1972, the Luna- the 50 CC moped from Pune-based Kinetic Group-was a cross between a bicycle and a motorbike. Riding on Indian sensibilities as it did, the lightweight moped took the country by storm. As brand expert Harish Bijoor put it, the Luna was a sturdier cycle with a motor, which gave it the edge when it came to speed. It could even be pedalled in case it ran out of fuel. “Luna entered India when it was divided between being a cycle country and a motorcycle country… there were many clusters, especially the industrial town in the country which lived on bicycles,” Bijoor said, adding that at the time, motorcycles were owned only by the moderately rich. The two-wheeler created by Arun Firodia had a slim body and was initially targeted at the country’s middle class-both men and women. However, with time, as the market opened up to more powerful and upgraded two-wheelers, the Luna altered its positioning. 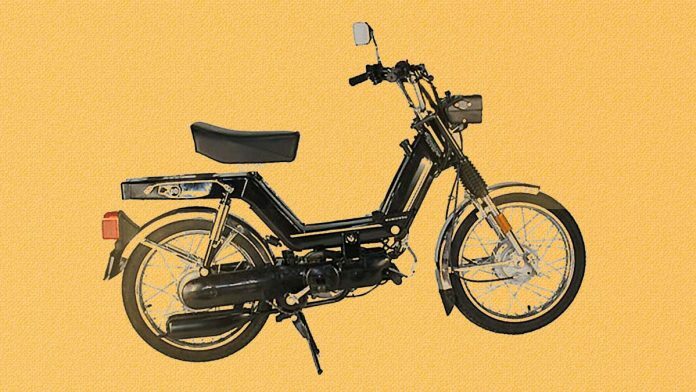 As the country’s ‘first moped’ the Luna sought to become the pulse of ‘Bharat’-an aspirational India that still did not have the trappings of the free market. The brand was not only promoted at cricket tournaments-it was awarded to the Man of the Match-but also given away to students excelling in academics. Luna gave birth to iconic characters such as Ram Murari, a government employee, saddled with work, the young Deepak Seth running to meet his girlfriend and Radha, a medical student. All three, essentially from different walks of life, faced a problem: they would be late. But their decision to buy the humble and simple yet powerful Luna changed their lives forever. Its unique branding focused on ordinary Indians who were at the cusp of progress-and time alone was holding them back. The Luna’s affordability and its positioning as the relatable and reliable moped endeared it to the middle class. Its brand campaign was handled by none other than advertising veteran Piyush Pandey. In fact, it was his first assignment. As the years passed and newer mopeds and motorcycles started flooding the market, Luna gradually acquired an enviable female customer base. At one point, 90 per cent Luna users were women, say experts. Its demand and popularity waned as the economy matured and the market floodgates were opened to foreign players. Eventually, competition intensified and sturdier motorbikes and scooters made inroads into the Indian market. In the moped segment, TVS 50 gave tough competition to the Luna. Even women changed their loyalty and began opting for scooters. The TVS scooties and the Activas that suit the Indian who grew up in post-90s India have pushed the Luna to the margins. “The overall needs of the Indian consumers changed, there was a need to have more macho and sturdier bikes,” Bijoor said. Not just Luna, mopeds in general are fast disappearing from the Indian market. “The India of today is different with very different aspirations, there is more money in the hands of people and purchases are made keeping status in mind whether in the urban or rural areas,” said another advertising expert.